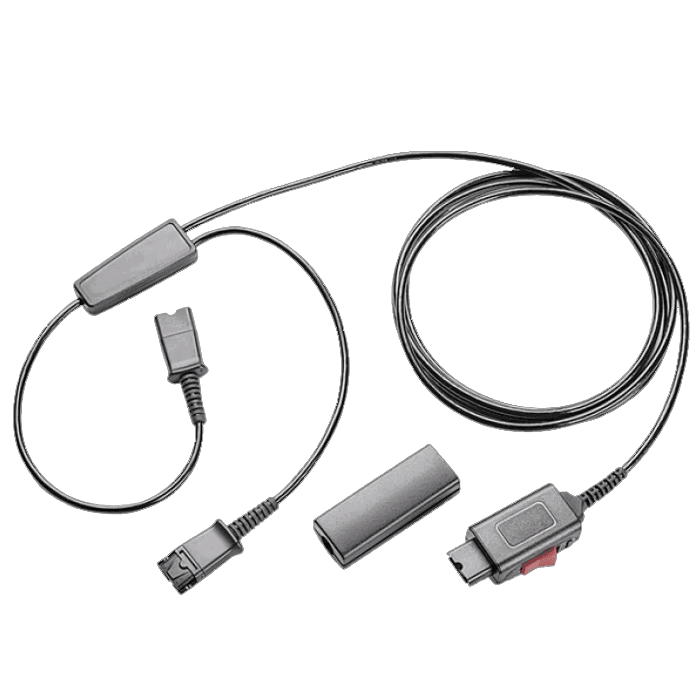 Plantronics SupraPlus HW261N Headset - Headsets Direct, Inc.
Update 8/7/2018 – Plantronics announced the HW261N is being discontinued. 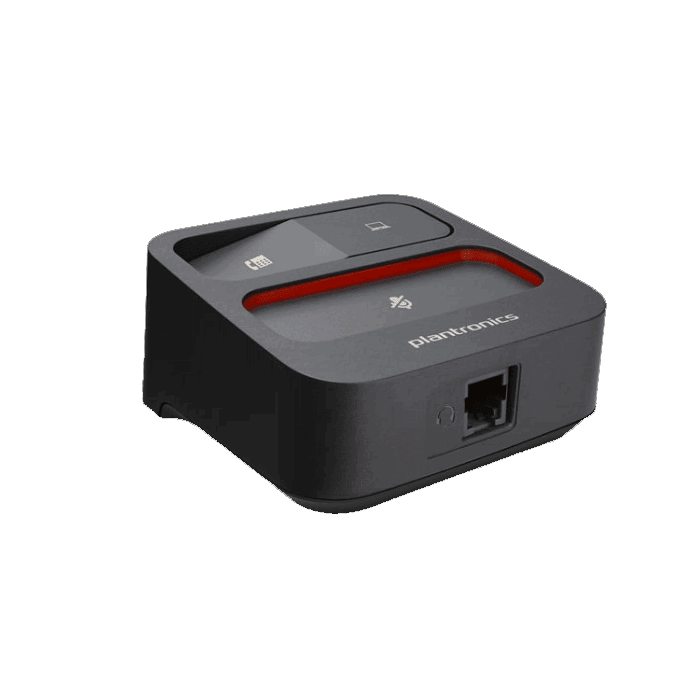 The last shipment date from Plantronics is March 31, 2019 or while supplies last. 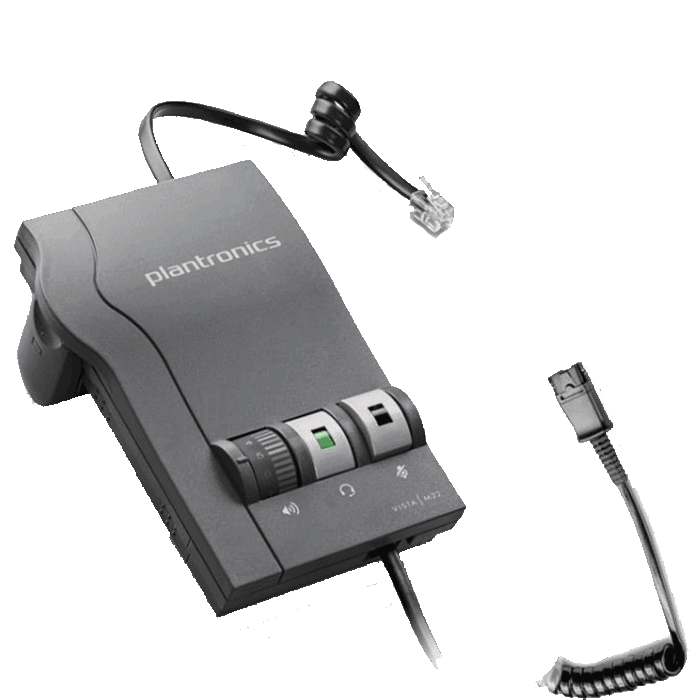 Click Plantronics Corded Headsets for available replacements. Ultra noise-canceling (UNC) microphones. An extended mic provides industry-leading, noise-canceling, and echo performance. Speaker quality. The HW261N headset provides greater receive-side frequency response to improve listening intelligibility. Comfortable design. 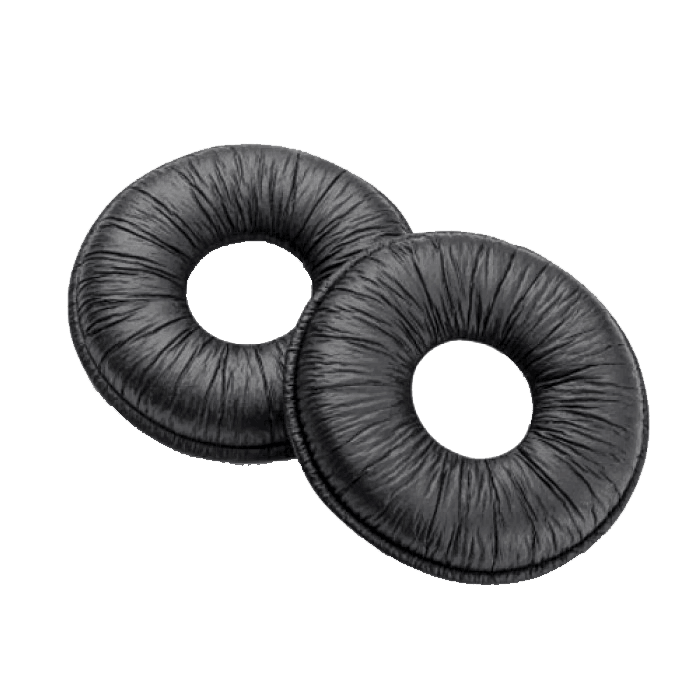 Adjustable headband with soft foam ear cushions creates a stable and comfortable fit. Bendable click-stop microphone boom. The microphone of the HW261N stays in position for optimal voice transmission. 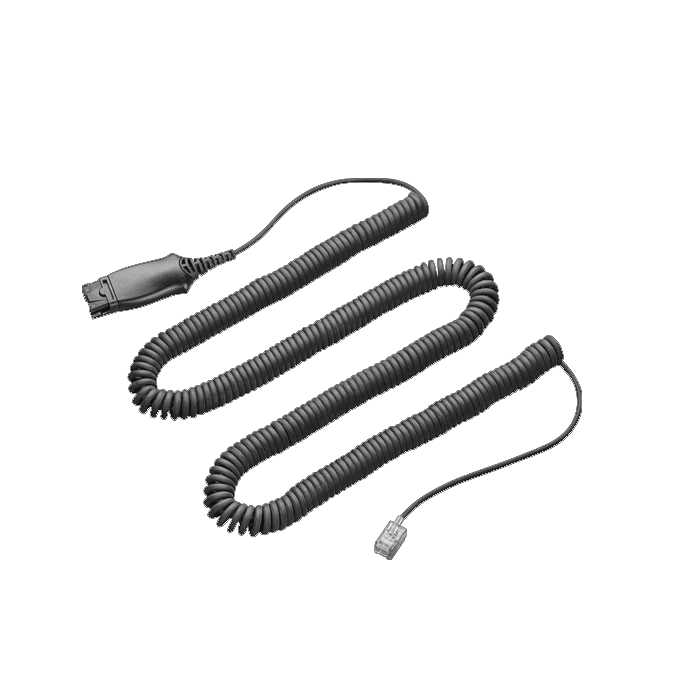 Small, light, flexible cable. The HW261N single-cable design eliminating cords tangling and adding extra weight under your chin. Quick Disconnect™ feature lets you walk away from your phone while still wearing your HW261N SupraPlus headset. Ensures precise listening level, sophisticated hearing protection, and superior audio performance. TECH REVIEW – The Plantronics HW261N SupraPlus headset has a long record of ergonomic design and durability. Though it may not look it, when you put on the HW261N, you’ll swear you’re wearing one of those higher-priced headsets. The binaural design of the HW261N makes it a great headset for louder environments and for users that want to cover both ears and not be distracted by co-workers or other noises. 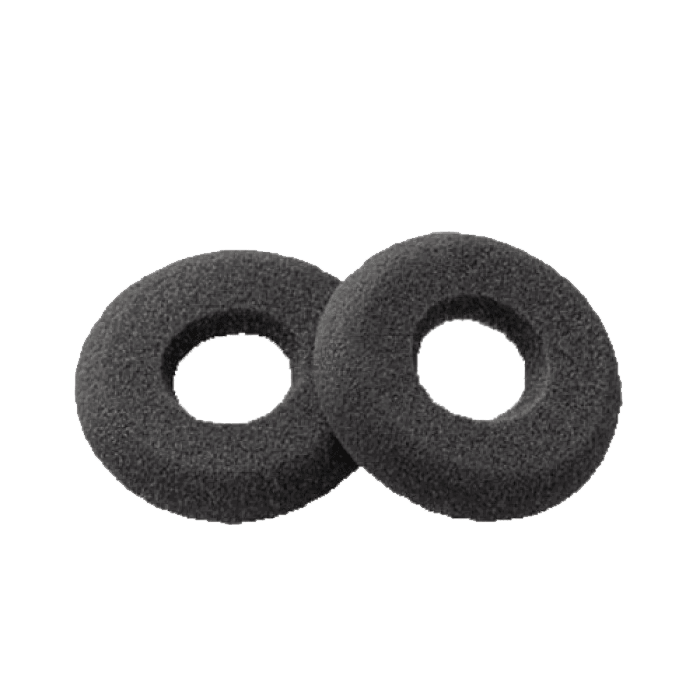 The HW261N dual-ear headset uses foam doughnut ear cushions which provide all-day wearing comfort and have the center of the cushion cut away to deliver speaker sounds directly to your ear canal. 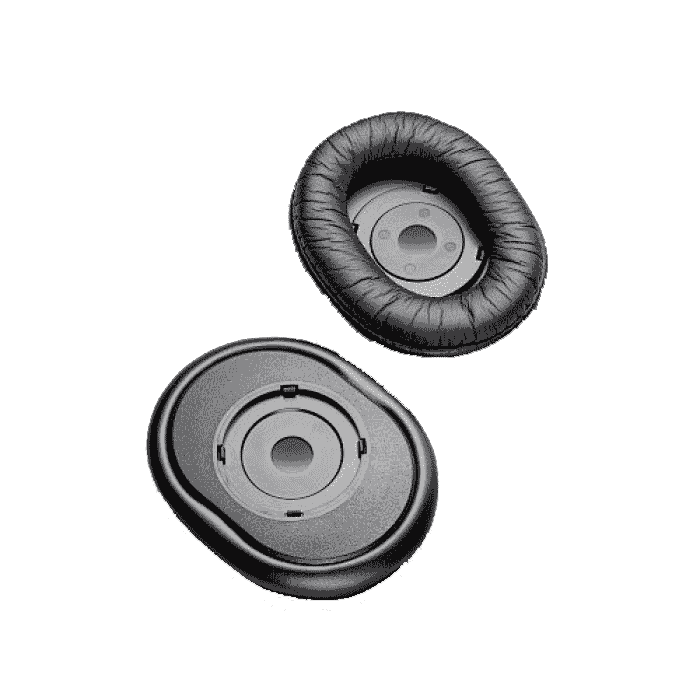 As an optional upgrade, super soft leatherette ear cushions are available for an extra comfortable fit that won’t tangle with your hair as you slide the headset on and off. An adjustable headband allows for a snug and secure fit. For optimal performance, you will want to position the headset microphone about the width of a finger away from the corner of your mouth. The HW261N’s noise-canceling microphone uses multiple mics, electronically targeting your voice while reducing background noise. That way your caller hears your voice clearly while effectively reducing any background noise. The 2.5 foot cable ends in a unique connection called a Quick Disconnect. 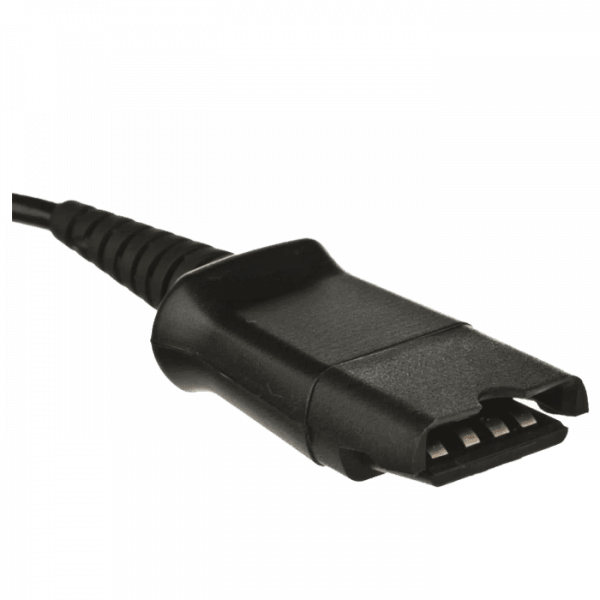 This Quick Disconnect will need to plug into a compatible amplifier or cable, depending on the phone model. When you use the HW261N, you’ll be amazed by the excellent sound quality. So if you spend more than a few hours a day on the phone, the HW261N headset is well worth the investment for comfort and durability. HOW TO INSTALL – First you want the headset to fit properly on your head. Sliding the headband in to make it smaller or out to make it larger will allow for the best fit. The microphone needs to be about the width of your finger away from the corner of your mouth when using the HW261N. The microphone boom is flexible so you can adjust it for a perfect fit. 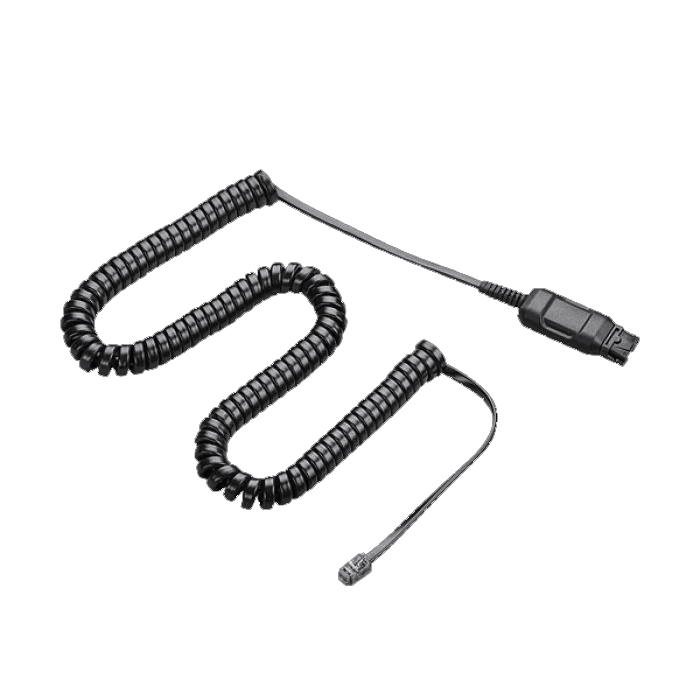 The headset cable ends in a connection called a Quick Disconnect that matches a similar Quick Disconnect on the amplifier cable or direct connect cable. Once connected, make a test call to ensure the unit is working properly. 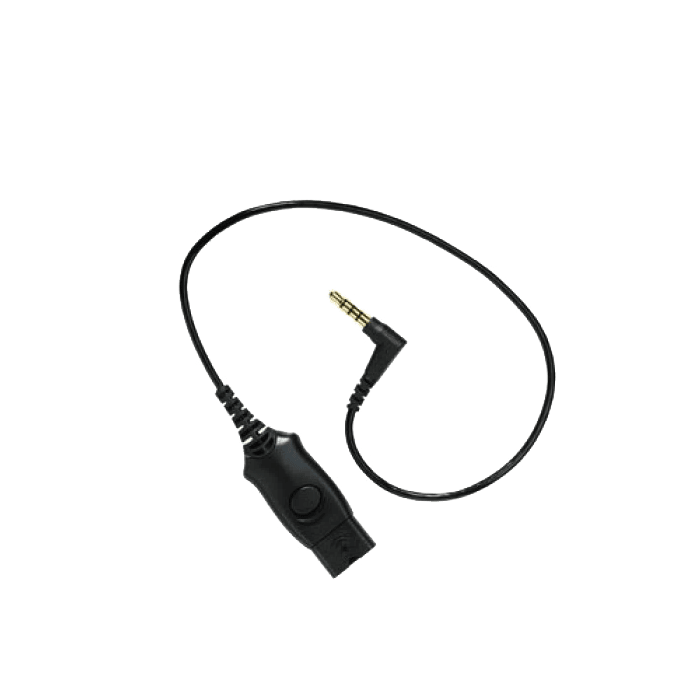 The clothing clip will help make the headset feel very light weight when you clip it on or near your shirt collar; you won’t feel the bottom part of the cord pulling on the headset or have the need to reposition the headset as you stretch the lower cord. 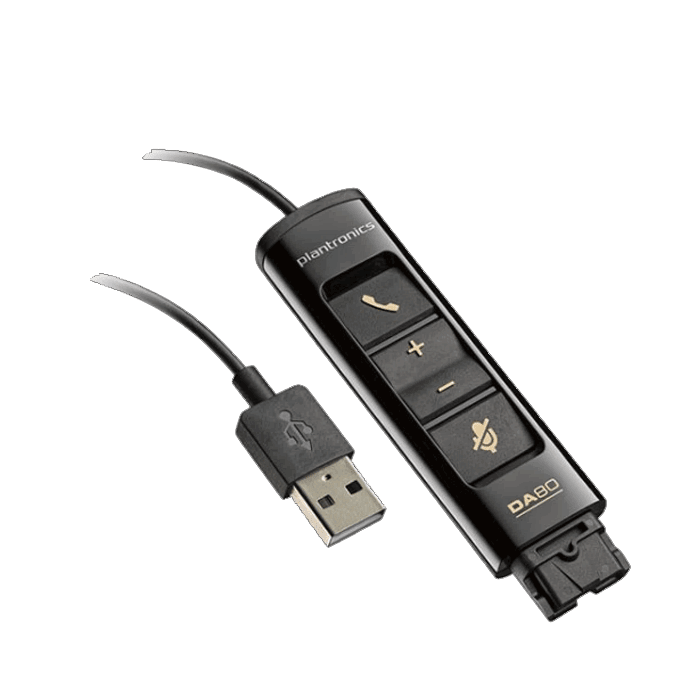 HOW TO STORE – When storing your Plantronics HW261N, it’s best to hang the headset so it’s not just setting on your desk. This keeps the cord hanging freely which helps in preventing the internal wires being damaged when the cord is tightly wrapped over time. And we all know how vacuums love loose cords. There is a headset hanger available that you can attach in your cubicle to keep your headset safe and out of harms way. To view click HDI Headset Hanger. HOW TO CLEAN – When cleaning your Plantronics HW261N, always use non-alcohol chemicals or wipes. Using alcohol-based products over time will break down the cords making them very stiff and clumsy to use. Wipe all plastic components and cables, but avoid saturating any openings where electronic components are in close proximity. This includes the small holes in the speaker casing and at the end of the mic boom where the microphone is located. Also avoid sticking anything into the Quick Disconnect connection where the four metal contacts are located; you may damage them if you try to clean it. 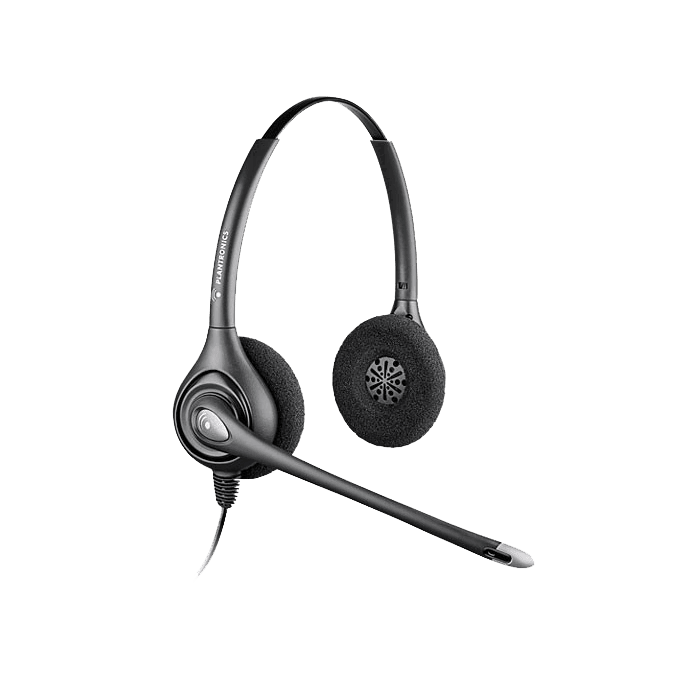 WHO USES THIS MODEL – The HW261N is a headset made for the business professional looking for excellent quality in a corded headset. By covering both ears, it allows you to stay focused on your caller, not on the noise around you. The noise-canceling microphone cuts down on background noise, making the HW261N a great headset for noisy environments. It’s a very popular headset in a call center environment. Works great. It’s exactly as advertised. I was in need of a headset and seen other sites and online chatted with a few of there reps. And was a bit confused with which one would fit my needs. I found your website and was it was nice that you have a video showing your different selections with an explanation of there uses. So I called and was very, very surprised that I actually got to talk to the rep from your video. He was very, very helpful and assured me that the Plantronics SupraPlus HW261N Headset would fit my needs……Thank you so much!!! Very happy with this Plantronics headset. I hear crystal clear while I have my hands free to multi-task. Highly recommended. The SupraPlus headset lasts longer than others we have tried. It is nice as well to be able to acquire all of my headset needs from Headsetsdirect.com All of the individuals that work there are extremely helpful, friendly, and always look out for the best interest of the customer. Very pleased with my new headset! Very happy with this product; 2 ears much better than 1, which I had before. Very good customer service. Excellent audio. These headsets have been great at holding up to our Team Member needs…especially with those who have long hair. I have not had to replace these at the pace when we used Jabra headsets. 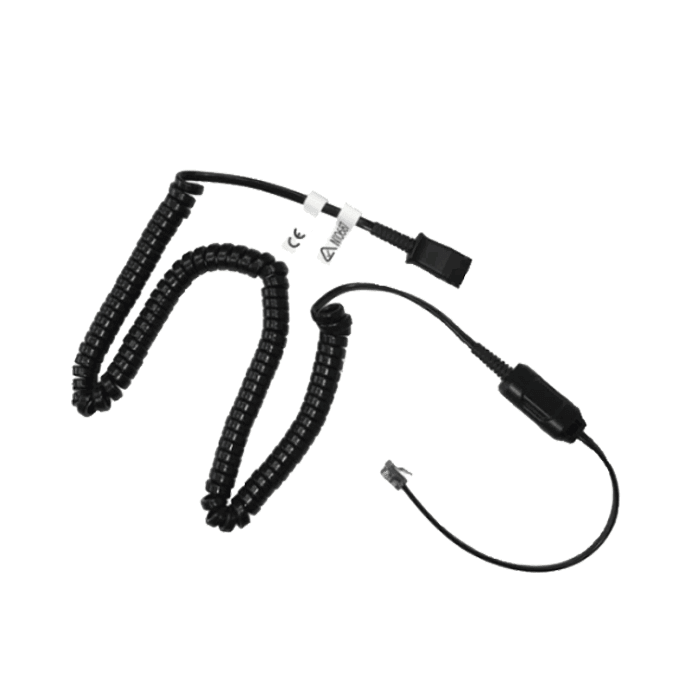 The headset is sturdy and very flexible which is very helpful for women with long hair…happens to tangle up in the headset. I have had other headsets that snap on these occasions. Also wanted to say Headsetsdirects.com; everyone that works there is positive and always ready to help!!! I purchased this headset for working from home. I like that it covers both ears, which helps me hear much better in my noisy household. The noise-cancelling mic also allows me to be heard more clearly and for the background noise to be significantly decreased. I use it with my iphone 5/separately purchased the adapter cord. Although it is wired, I am able to be mobile around the house and outside given I use it with my mobile phone. I like the headseat and the service when I called with questions. This gear works great, but I’m sure I would have messed it up if I tried to order off the web page without calling. The ear pieces on this headset are great, and the sound quality is exceptional. The only thing I don’t like is the fact that if the mouthpiece isn’t placed right, you can hear too much breath sound. Just great – crisp and clear audio! Large earmuffs were added and provide great comfort, as well as noise-deadening! I’ve had this headset for years, and when two employees in my office wanted one, I recommended this. It is light weight and very comfortable. Adjusts to head size. Has lasted forever. 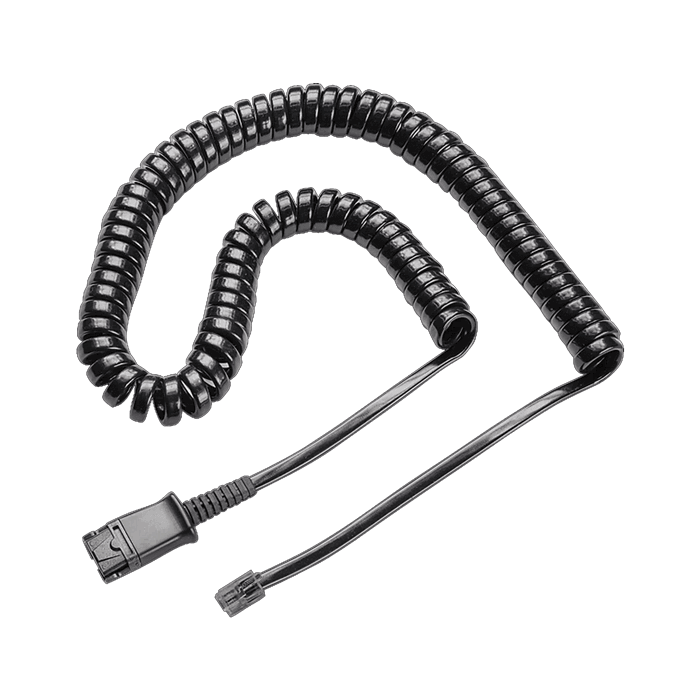 Be sure to buy the disconnecting cable to go with it so that you can disconnect and move around the office. We have an appointment room where there are 5 employees on the phone at one time; these headsets help lower the noise where they can only hear the person on the phone, not the surrounding noises. The dual ear headphones are great for working in a noisy environment. They block out the outside noise that can be distracting during phone conversations. The microphone appears to work even better at canceling noise, as we have not had any complaints. Very comfortable to wear and has great sound. My staff like the feel of this headset. Some staff have complained that callers can’t hear them at times. HDI: If callers can’t hear you, it’s a sign you should use an amplifier instead of a Direct Connect Cable. Using an amp will give you complete control of your microphone volume. 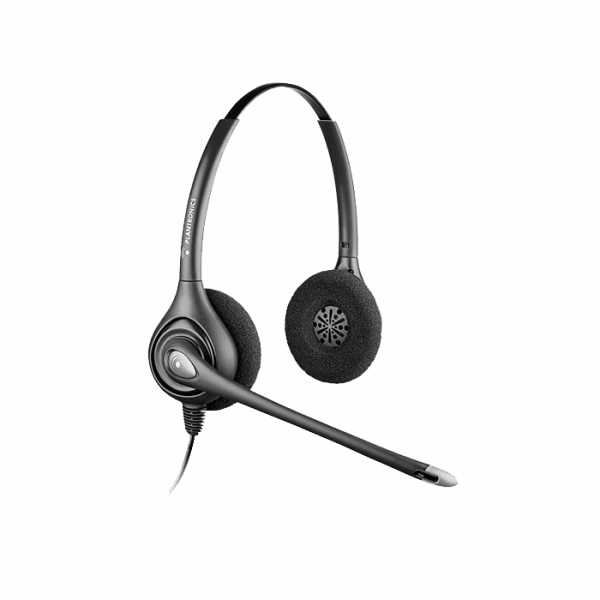 All of our staff use these headsets and love them. Very reliable and comfortable. The microphone is horrible. Everyone has trouble hearing me no matter how I position it. 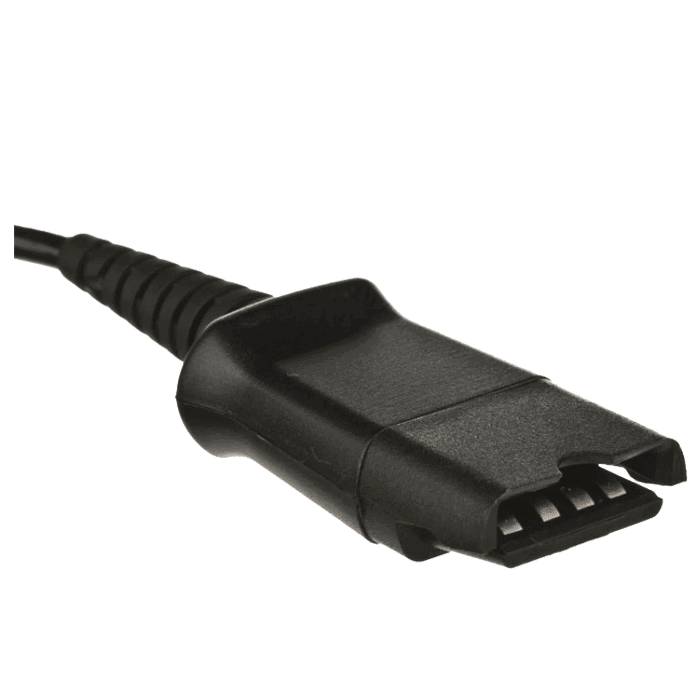 HDI – Make sure to use an amplifier which provides microphone volume control instead of using a direct connect cable with no volume control. This headset works fine and is lightweight and comfortable to wear. I have heard that some people find my voice to be hollow, which might be a function of the microphone.